What if there was a medication out there that would reverse arterial plaque, especially the plaque in your penile arteries? Would you be interested? Well, I have good news: you don't need a medication to regress atherosclerosis, the buildup of arterial plaque, because you can do it (more than likely) with lifestyle changes alone. Yes, you can usually reverse arterial plaque with exercise, diet and perhaps a few supplements. 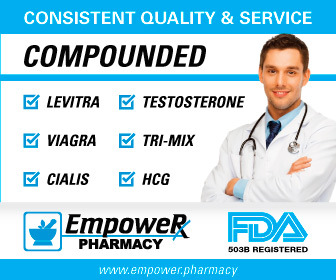 This is incredibly good news for your erectile function, because what man can't use a little increased blood flow and nitric oxide output, eh? You may be asking, "Why haven't I heard of this?" or "Why don't more doctors talk about this?" The reason is simple: the great majority of physicians have been taught and, therefore, believe that lifestyle changes have little clinical effect and very rarely solve medical issues. In this case, though, they simply could not be more wrong. And, interestingly enough, the three pioneers of plaque reversal are actually all physicians! Not only done this for years in their clinic, but they have generously written books and articles describing their strategies and protocols. 1. Dr. Caldwell Esselstyn. Dr. Esselstyn is a physician that has been reversing plaque for literally decades. He was doing it when it wasn't cool like it is now and greatly increased our awareness. He is very well-known and was on the recent documentary Forks Over Knives that many men have watched or heard about. He emphasizes a low fat plant based diet and believes that the nitric oxide boosting power of plants is an anti-inflammatory and blood pressure lowerer and thus is critical to reversing plaque. Essentially, he just tries to get a man's cholesterol below 150 and will occasionally use a statin if a low fat diet does not do that. Again, he believes that low cholesterol and whole foods plant-based eating - without refined carbs - will do that for the great majority of men. His book is the best on the incredible power of plant foods to protect and even cure your arterial difficulties: Prevent and Reverse Heart Disease by Dr. Caldwell Esselstyn, Jr. M.D. 2. Dr. K. Lance Gould. Dr. Gould is probably the least well-known of the Plaque Regressers, but he has quietly been doing his job for decades. He emphasizes a low fat diet, mostly plant-based but one that is very realistic for most men that are coming over from decades of heavy meat and dairy eating. He allows, for example, some low fat cuts of meat, non-fat dairy and fruit. I would his diet flexitarin, i.e. a high percentage of plant foods with some animal. In addition, he emphasizes a diet that seem to be identical to "low fat, low carb" diets that you read about. His book is just packed with fantastic, must-know information on many subjects. One of the critical thing is a discussion about how post-meal triglyceride - coming from fats and carbs in the diet - spike cholesterol levels and leave high fasting lipid levels that damage arteries. He has a great section showing how atherosclerosis is prevalent in the solid majority of young men in their 20's, i.e. almost everyone needs some plaque reversal. His HDL, LDL and triglyceride targets are where I am personally headed and are a little less aggressive than Dr. Davis'. Again, this is something I cover here: HDL, LDL and Triglyceries. His book should be on the end table by your bed and should be read as a Bible along with the other two Plaque Regressers: Heal Your Heart: How You Can Prevent or Reverse Heart Disease . a) De-Emphasis of Plants. Interestingly enough, Dr. Davis does not like to eat meat and is a quast-vegetarian. However, his book emphasizes meats, oils and other higher fat foods. This foods will NOT boost nitric oxide - quite the opposite - and so I find it very hard to believe it will help men in the long term. In addition, the higher levels of saturated fat will leave many men with high LDL particle counts - not the traditional LDL that you are used to. b) Risks of Megadosing Niacin. I think that there are potential risk for some men in megadosing niacin long term as a means to control their plaque. I discuss that on this page: Niacin Dangers. b) Risks of Overly High Vitamin D.
I feel that Dr. Davis - and this is based on several recent studies - may be pushing Vitamin D levels too high. You can read about my concerns here: The Potential Dangers of High Vitamin D Levels. For all of these reasons, I think the top two authors are the way to go, but you'll have to do your own research as I always say.